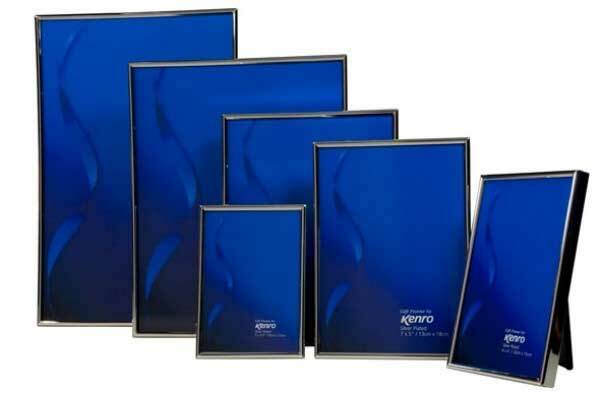 Kenro Symphony Frames are polished silver plated frames with a classic 5mm wide moulding. Each frame is finished with a black velvet backing and supplied in a white gift box. Kenro Symphony Frames are available in a full range of sizes from 3.5x5" up to 8x12".